We asked California Naturalists what it means to be a Naturalist. To Jen, being a Naturalist means “lifelong learning, appreciating and loving, and sharing that love and appreciation with others.” Sharing comes in many forms. 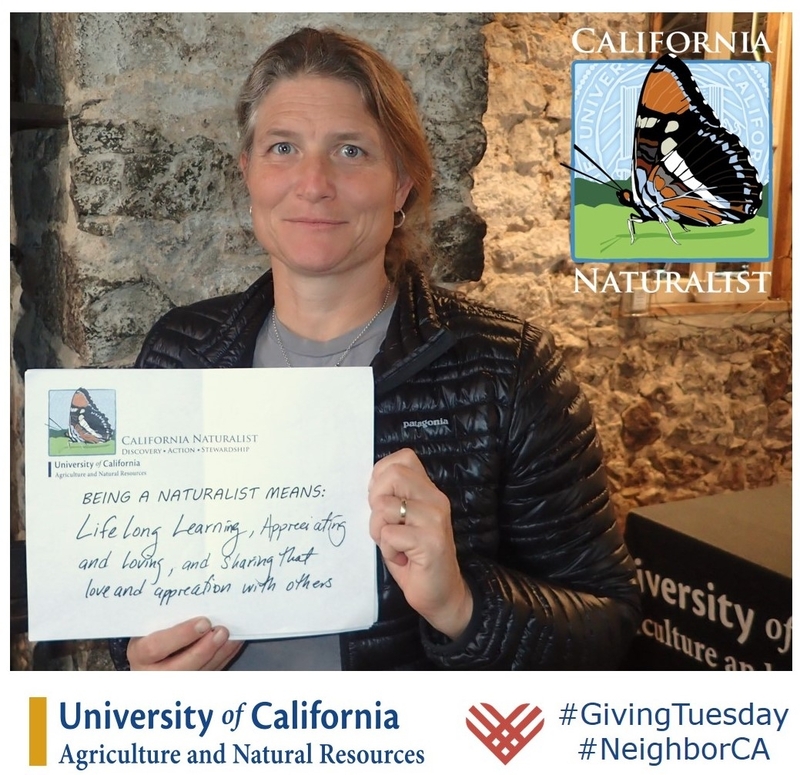 We are full of gratitude for our CalNat community that shares their knowledge, time, and passion to our classrooms, communities, and wild places. Thank you. Like a ripple in a pond, every effort we make to give back expands the reach of this UC Agriculture & Natural Resources program in every direction.